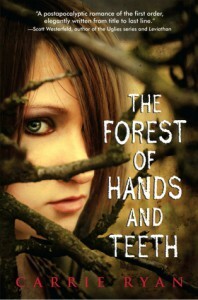 The Forest of hands and teeth is a new take on the apocalyptic theme. It takes place in a world where people are surrounded by a fence which offers safety, always in fragile balance. The story is well written and the author describes everything in a unique way. Carrie Ryan makes possible for the reader to imagine that world. The story is interesting but, I would have like to see more development on three aspects of the story: (1) the secrecy of the Sisterhood (2) the relation between the numbers and the gates (3) the ending of Mary's journey. Ryan created a complex character in Mary. She is a girl with dreams and expectations that cannot come true on her secluded village. She struggles but decide to look for something more, to leave safety behind and see the world. Although, her journey is physically and emotionally exhausting, she keeps pushing forward, leaving everything behind to discover a possibility of a new life. The village, Mary’s home, has a fence, a metaphor for a life full of rules and social standards. The fence controls the known world to the villagers and the sisterhood is the way to keep people in check. 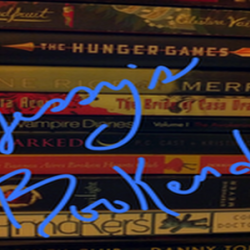 Definitively, the author created and interesting setting and good characters.